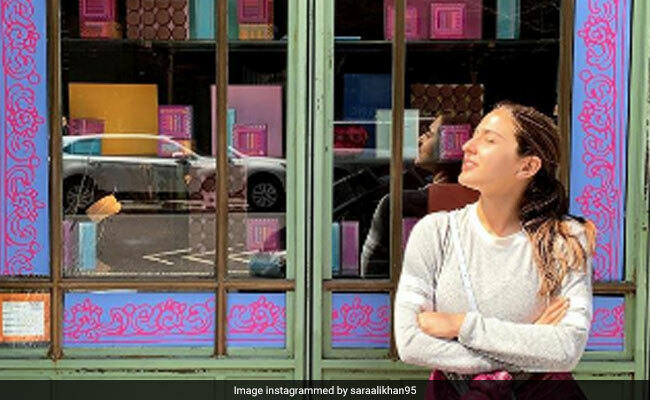 Sara Ali Khan captioned the post: "Mood"
Anyone who has been following Sara Ali Khan's Instagram profile of late would agree that the actress is giving her fans major vacation goals by sharing envy-inducing pictures on social media. Sara's Instagram stories totally corroborate to the fact that the actress is making the most of her me time in the Big Apple. 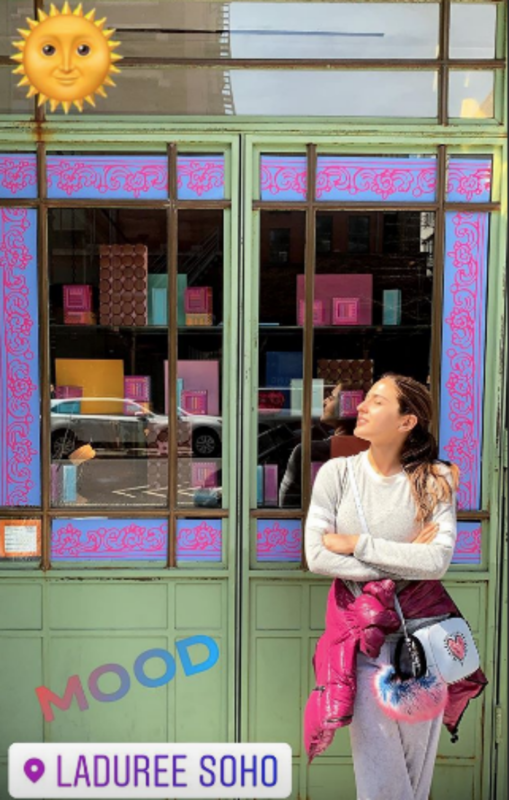 In one of the posts, Sara can be seen posing at a local eatery and she looks really cute, while in another picture, the 23-year-old actress can be seen posing in front of a shop. Dressed in a white top and a pair of bright pajamas, with a pink jacket tied around her waist, Sara looks really pretty in the picture. Sara captioned the story: "Mood." Screenshot of Sara Ali Khan's Instagram story. On the work front, Sara Ali Khan has signed a film with Imtiaz Ali, co-starring Kartik Aaryan, which is said to be a sequel to the 2009 film Love Aaj Kal, which featured her actor-father Saif Ali Khan and Deepika Padukone. Sara Ali Khan stepped into Bollywood with the Abhishek Kapoor-directed film Kedarnath, in which she co-starred with Sushant Singh Rajput. Sara also featured in the super hit film Simmba, alongside Ranveer Singh.